The wedding budgeting could be so tiresome. You might want to spend less on the details but don't really want to cut it off, beacuse the overall spends already overhelming. 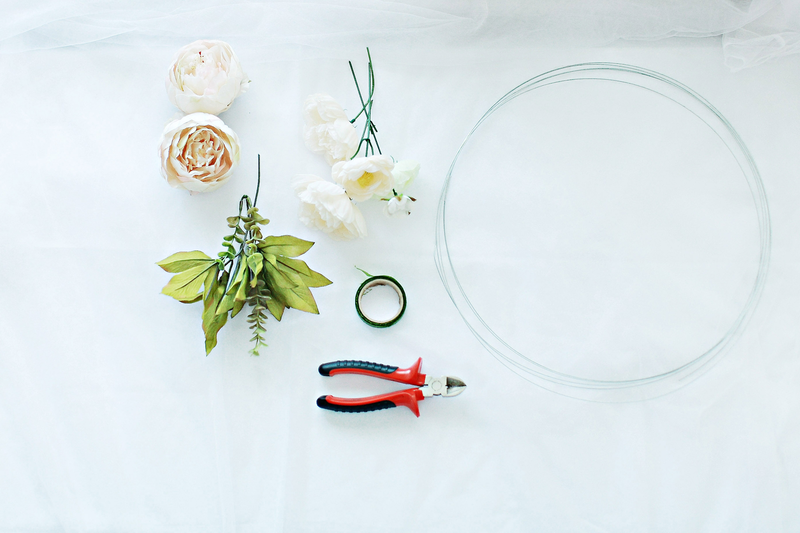 DIY is the best solution for this kind of situation, all you need is a lil' bit creativity or just follow this simple instructions for DIY Flower Crown that can be used as your flower girls's hairpiece or your prewedding photoshoot's. 1. Take a piece of floral wire and form it into a circular shape. 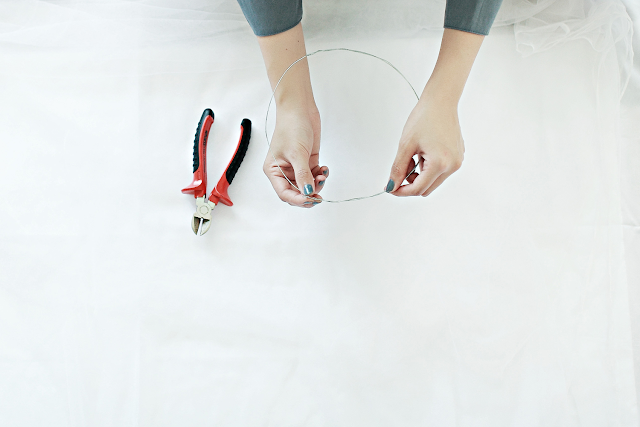 Rest it atop of your head to see how long you need the wire to be form a loose crown around your head. 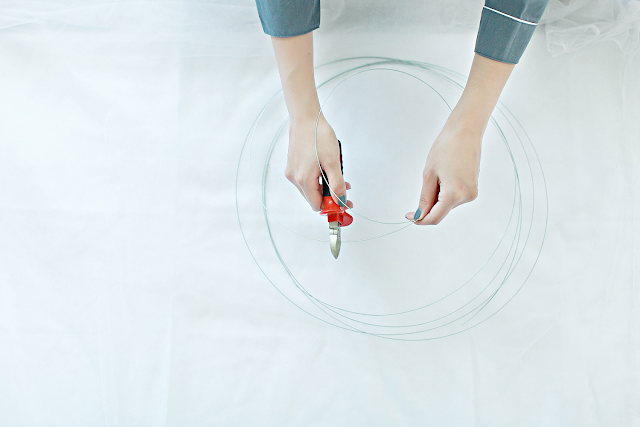 Cut off excessive wire, and form the rest into a circular shape. 2. Tied the wire and tape the circle shut with floral tape. 3. Choose your greens and flowers. 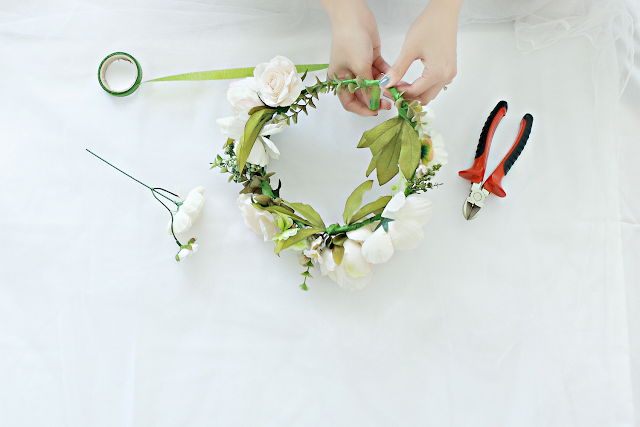 Add both greens and flowers, to attach each flower to the crown, make sure the flower steam are at least 3 inches long. 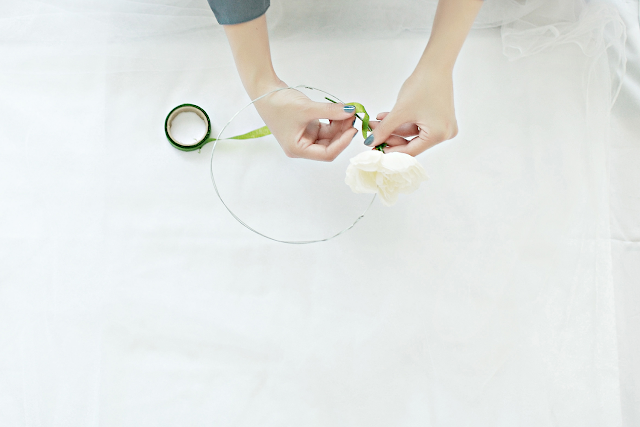 Tape the stem to your crown, wrap it all over just to make sure it stays. 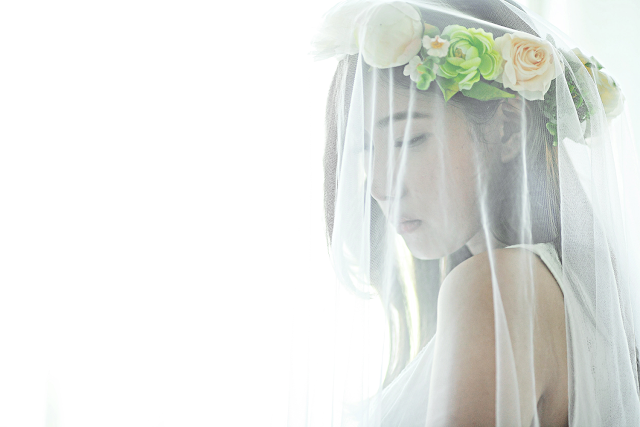 There's no wrong way to make a flower crown. It really depends on what occasion you're making it for, what hairstyle you are planning on wearing with it, or what kind of flowers you have on hand.